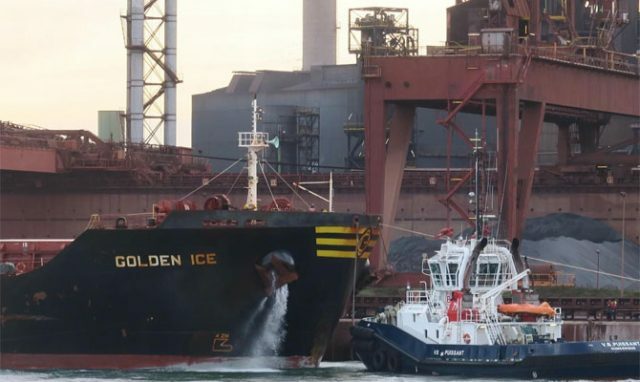 The 225 meter long, 75750 dwt bulk carrier Golden Ice caught fire while berthed in Dunkirk, France. The bulk carrier had arrived from Canada and begun unloading operations when the fire broke out in the hold. The fire had started from terminal equipment that had been lowered into the hold. The local fire brigade was contacted and was able to extinguish the blaze from shore while assisted by fire tugs. No reports of injuries and damaged was limited. No reports of injuries.